High quality flour, cat. 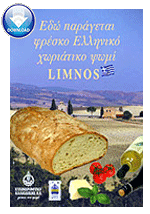 Deluxe, produced from carefully selected soft wheat with high protein content, suitable for the production of pastry, pizza, pastry phyllo, croissants, "kourou"-crumble dough pastry, traditional cake, pies and more. Improves the elasticity of the agent.